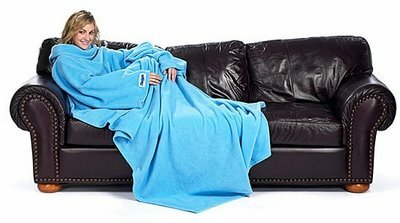 I got my Snuggie! I got my Snuggie! Mark and David got me one as a joke, but the thing is, I really wanted one! It was supposed to be there when I went to LA but it took, like, six weeks to arrive and they just got it last week. I'm wearing it right now. And I'm typing. I can do that because it has sleeves! Beverly is all snuggled up at the bottom of the Snuggie right now. I'm going to take pictures later. 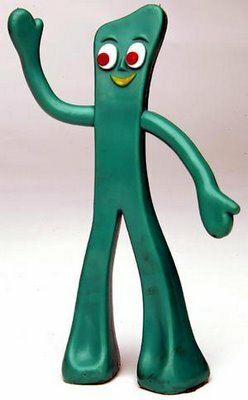 UPDATE 2: An anonymous commenter pointed out the most brilliant thing: I look like Gumby.